All Morning Melodies Shows are $10 per person. 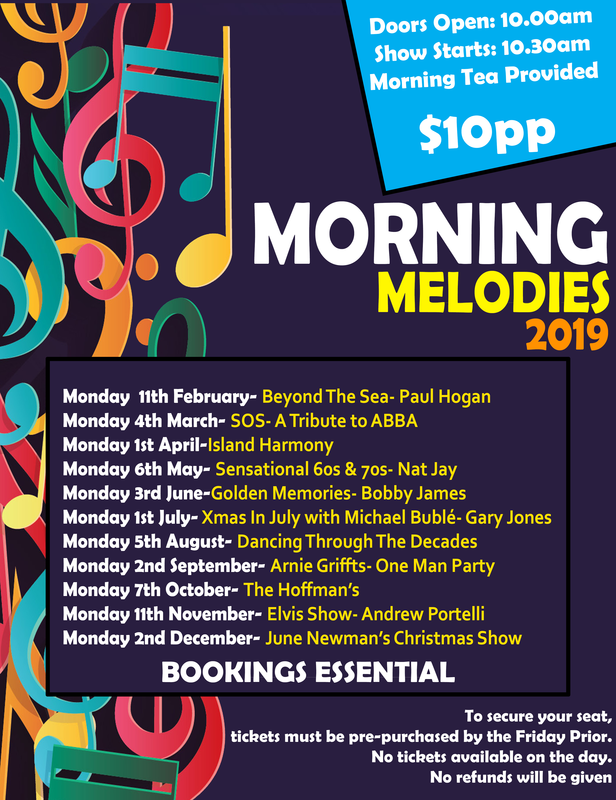 Every month we hold Morning Melodies offering morning tea and a live performance. Doors open at 10am, show starts at 10:30am. BOOKINGS ESSENTIAL. For groups of 30 people or more, please click on the BUS PACKAGES button below.